Guest Post: Traveling With a Loving, Happy Family - Baby Doodah! I’d like to introduce Kendra Thornton, she will be doing some guest posts on my blog from time to time. Kendra is a travel advocate, TV spokesperson, PR businesswoman, proud wife and mama of 3. She’s a long time travel expert who has been packing her bags and traveling the world since she was 3 months old! She’s found her utmost desire in life is right in her own home. She has mixed her excitement for travel by bringing the taste of authentic cuisine to her own home with some of her unique recipes and sharing some of her personal traveling tips. You can follow Kendra on Twitter here or visit her website Thorton Public Relations. I love my family, and I love to travel, but I will be the first to admit that the two do not always go together at first glance! When you are trying to make the plane while hauling a crying toddler or you need to deal with another chorus of “are we there yet?” from the back of the car, you may want to tear out your hair, but listen to these tips instead! Everyone knows that the food at the amusement park is terribly expensive, and on top of that, it is not good for you. Take a moment to eat a good breakfast before you go in. To prevent nausea, leave the fast rides for later in the day and spend the morning seeing the sights and opting for the smaller, slower rides. This ensures that you can see the park without worrying about finding food that your child needs to eat. I use Gogobot to always check their reviews for family-friendly hotels. When we went to Florida, I scanned through their list of Orlando hotels and found a great spot that had both a quiet hours policy at night and a free continental breakfast for kids. Children can get dehydrated and cranky about it without even knowing, and this can be a problem on the flights. If you are getting ready to board a long flight, make sure that you pick up a few bottles of water at the airport after you go through security. This can help ensure that you and your family are comfortable during the flight. Tip 3: Wash Your Hands, A Lot! 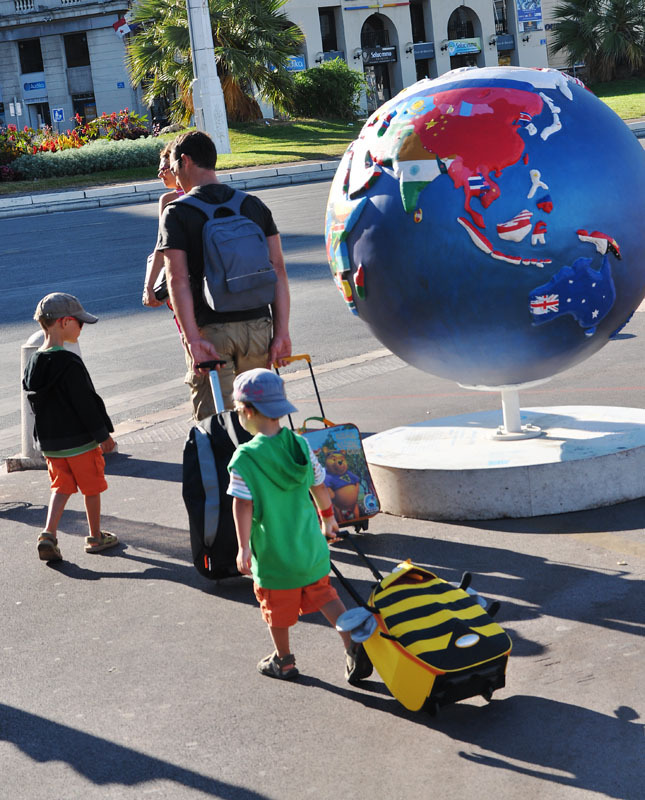 Red eye flights may seem a little extreme, but they can be fantastic for your kids. Keep your kids up until the flight is ready to take off; in many cases, they’ll love the late night treat! Then they can sleep through the discomfort of the flight and they will wake up bright-eyed and bushy-tailed when you get to your location. Traveling with kids can be a little trying, but the memories that you make are typically worth it! Take a moment to think about what you need to do to keep your family happy!